This resource is also relevant to Media Studies- Documentaries, Australian History, Civics and Citzenship, Geography and Visual Arts. How does the clip present Cook and his values in regards to Indigenous peoples- consider the dramatic interpretation by the actor (gestures, expressions etc), the narration and production conventions (framing, music, setting etc). How accurate is this representation? 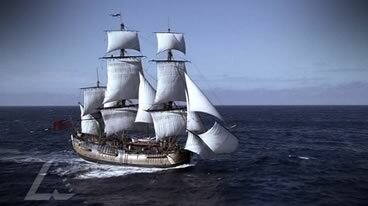 Refer to Cook’s journal and other historic records such as The First Pacific Voyage of Cook on the Endeavour. Was Joseph Banks’ view of Tupaia typical of the British upper class of the 18thC? How is Banks represented in contrast to Cook in this clip? Critically analyse the way in which this clip uses dramatic recreation to entertain and inform. How effective are dramatic recreations in contemporary documentaries? Write a short scene to be performed as theatre or filmed on video from Bank’s point of view of the journey. Consider his status on board as a paying member of the crew, a gentleman botanist and his congenial relationship with Cook. Research the text conventions of drama scripts and film scripts before commencing work.